Dr. Joel Brock received his BS in Physics from Stanford University in 1981. He received his PhD in Physics for “X-ray Scattering Study of Bond Orientational Order in Liquid Crystal Films” from the Massachusetts Institute of Technology (MIT) in 1987. Dr. Brock spent another two years as a postdoctoral research associate at MIT using synchrotron x-ray scattering to study liquid crystals and the ultra-high vacuum surfaces of metals and silicon. He joined the faculty of the School of Applied & Engineering Physics at Cornell University in 1989 as an Assistant Professor and was promoted to Associate Professor in 1995. In 2000, Dr. Brock led the G-line upgrade project of the Cornell High Energy Synchrotron Source (CHESS). He served as Director of the School of Applied & Engineering Physics from 2000-2007 and was promoted to Professor in 2001. In 2013, Brock became Director of CHESS and led the CHESS-U upgrade project (2016-2019) and developed the Partner Model. Brock was named the Given Foundation Professor of Engineering in 2017. 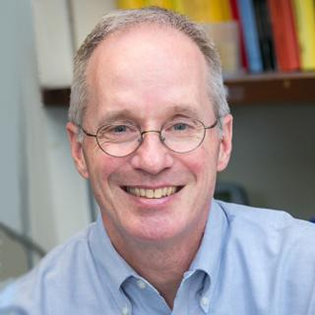 At Cornell, he is affiliated with the Cornell Center for Materials Research (CCMR), the Energy Materials Center at Cornell (emc2), and the Center for Alkaline-Based Energy Solutions (CABES). He is a member of the Materials Research Society, the American Association for the Advancement of Science, Sigma Xi, and the Union of Concerned Scientists. Brock is a fellow of the American Physical Society. Brock’s personal research centers on synchrotron-based x-ray studies of materials. Most recently his group has been performing operando studies of epitaxial thin-film growth, batteries, and fuel cells.